The Digitizer in an iPhone is the most important part of the screen. But what is it? Let’s be honest. It is all a little confusing when talking about replacing the iPhone’s screen. At Mission Repair we replace thousands of iPhone screens every month which include replacing the glass, digitizer and LCD. Most people understand the functions of the glass and LCD, but what is a digitizer? The digitizer is the electronic component that senses all touch functions. It is fused UNDER the glass and senses a human finger though the glass so that the unit can be controlled by your fingertip. The digitizer is very thin and transparent. Our Screen Repairs replace the glass, digitizer and LCD because these parts all come fused together as one assembly. You cannot replace the digitizer alone because it is part of the glass. So, if you have a shattered iPhone screen, you’re going to get a new digitizer along with the glass in order for your device to function correctly again. When looking for an iPhone Screens you may see them marketed as: “iPhone glass, iPhone digitizer, iPhone touch screen, iPhone glass screen, iPhone screen, iPhone touch panel”, etc. These terms are all interchangeable and are all the same thing. In need of an iPhone screen repair? Be sure to give us a call at 1-866-638-8402, visit our website or send us an email! It has been a busy December so far. We had a record breaking Black Friday and a very impressive Cyber Monday. It’s a busy season and we haven’t even talked about our Deal of the Month yet! Now thru the end of December we are taking $20 off iPhone 6 Screen Repairs. Yes, iPhone 6 screens are breakable, just like other iPhones and we have had a TON of phone calls regarding this service. So, for December we decided to help all iPhone 6 users out with our Deal of The Month. There is no coupon required, just place your order online or at one of our walk-in locations to save. Offer expires 12/31/14 at midnight. If you have been living with a cracked screen on your new iPhone 6, now is the time to get it repaired with Mission:Repair. Just click the link above to start your order or call us at 1-866-638-8402. Once we receive your device we will replace the shattered glass with a brand new screen and get your device back to you good-as-new. Our screen repair services not only come with a warranty against any defects to the screen but also come with our Got Repair Benefit. This benefit means you NEVER have to pay full price for the same repair. For more information, click here. What Is A Digitizer On An iPhone? The word “digitizer” is used a lot when it comes to iPhones and iPhone repairs but what exactly is it? It wasn’t until I started working at Mission:Repair that I finally asked this question. 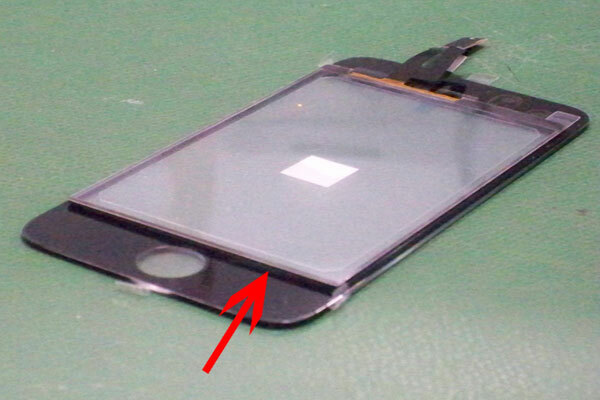 Our technicians are all too familiar with iPhone screens, glass and digitizers. They repair thousands of them every month, so who better to provide the answer? The digitizer is the electronic component that senses the touch of your finger through the glass. It is designed to allow the device to be controlled by a finger tip and is fused under the glass. The digitizer is part of the glass, therefore you cannot replace it alone. If your screen is not responding to touch, the glass AND digitizer need to be replaced. So, if you get a news glass put on your device, you will also be getting a new digitizer. It’s just the way it’s designed. You cannot replace the glass or remove your good digitizer and reinstall it onto your iPhone. It doesn’t work like that. These assemblies must stay together, they are built together. So, if you are in need of a Glass Repair be sure to click on our services above or give us a call at 1-866-638-8402. Did You Notice Our Logo Changed A Little? No, we didn’t redesign our logo, it just got a temporary makeover! Halloween is approaching and we thought it would be fun to spruce up our website. If you have been to MissionRepair.com before, you may have noticed our logo changes around Holidays. This includes 4th of July, Thanksgiving, New Years, Memorial Day and more. It’s one of the ways we have fun around here and a little reminder that we are constantly updating our site. New Repair Services are added daily as more parts become available to us. If you visit our website and don’t see the repair you need – be sure to give us a call. Chances are, we can source the part and repair your unit! So, whether you need an iPod Charging Port Repair, iPhone Battery Replacement, Galaxy S 4 Screen Repair, etc. be sure to visit us at www.missionrepair.com or call 1-866-638-8402.